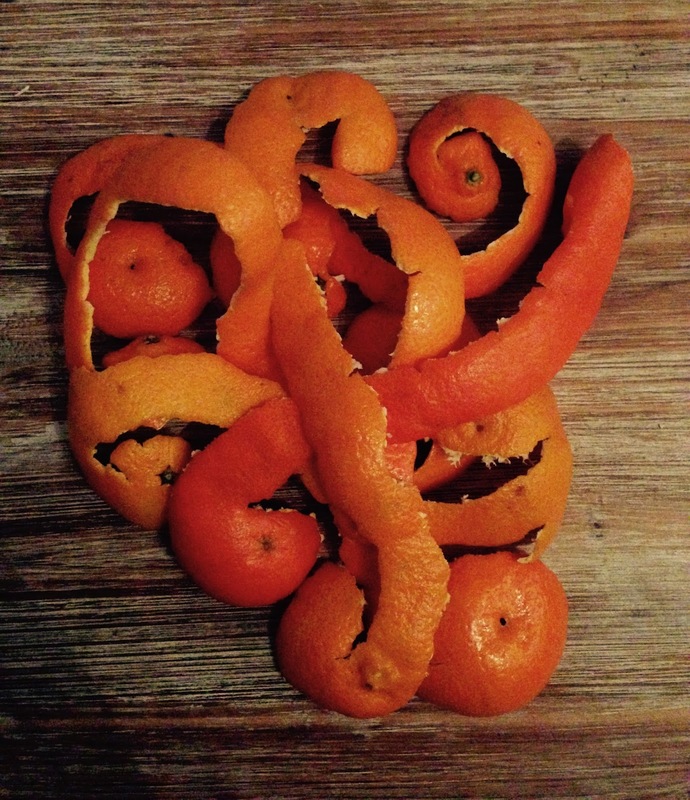 Our product of the month December is the Lov organic apple cinnamon fruit tea. Perfectly for cold winter days, the tea is deliciously fruity and because of the cinnamon a bit spicy. We love the taste of the tea and think cinnamon and apple are the perfect match. You can also drink the tea cold, but we prefer to drink it hot on a cozy winter evening. The tea is caffeine free, so you can enjoy it at any time. What we also like very much is, that the tea is organic and with only natural flavours. Lov Organic offers a full range of delicious organic teas that are also environmentally friendly. We like the vintage-y look of the tin can, it keeps the tea perfectly fresh and if you got it once you can always use it and only purchase the refill bags, which is also a benefit for the environment. 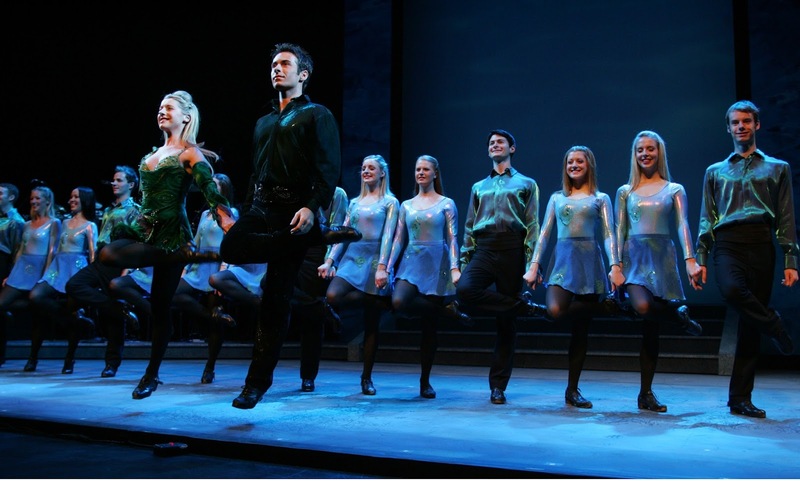 Riverdance is in Zurich now, from the 17th until the 19th December 2014. The show is a magnificent spectacle of irish dance and music and for us it was incredible how synchronous the dancers are. The atmosphere is very mystical and in terms of music there is everything, from slow melancholic compositions to fast and vivid music pieces. The whole show is very captivating and we enjoyed it very much. You can find more information, show dates and tickets on the official website. Argan Beauty is a Swiss brand with products that contain the precious native argan oil from Marocco. All of the Argan products are 100% natural and organic and don't contain any chemical additives. This and also the fact that the production is sustainable and fairtrade, are both characteristics that are very important to us concerning the choice of the products we use. The argan oil has many good qualities that are very good for your hair and skin, it protects the skin from free radicals and helps keep it young and healthy. The products can be used for any skin or hair type. We have used the lavender body wash and the pampelmousse body oil. 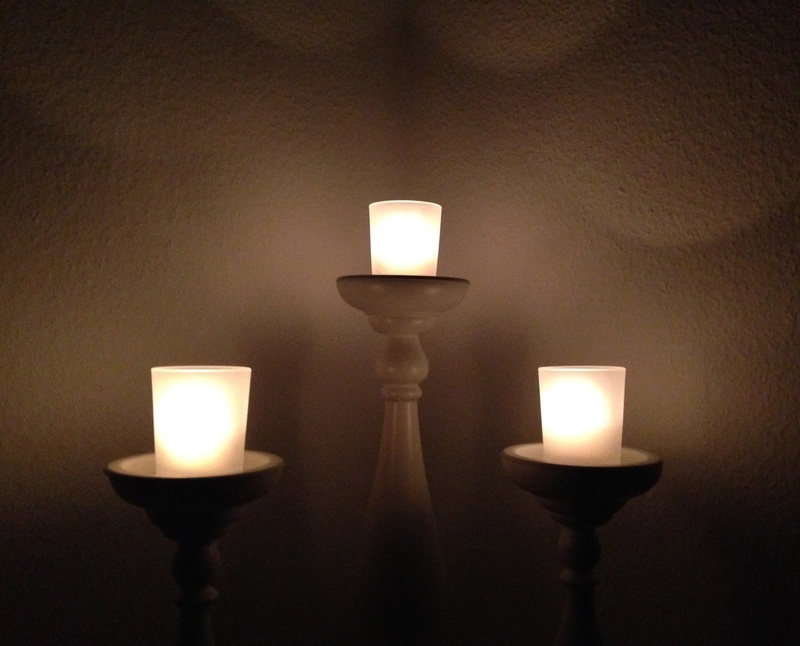 What we like about the products is the very natural scent. It is very intense, but not too strong if you only use a small amount, you don't need much anyways. The body wash is incredibly soft and the foam is very pleasant on the skin. Using it you feel like you are standing in the middle of a lavender field and it leaves the skin nourished, healthy and soft. The body oil can also be used as a treatment for the hair or a massage oil. Also the texture of the body oil is very soft and the skin immediately feels nourished, without the oil leaving a greasy film on the skin. 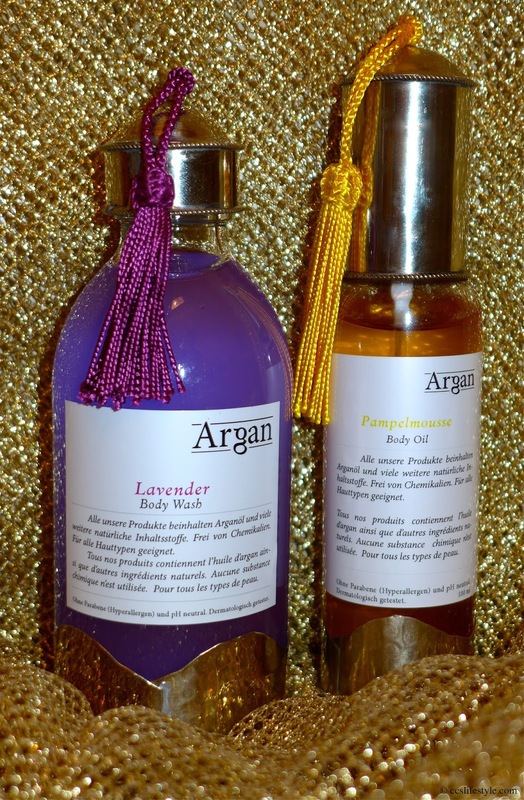 There is also an argan body lotion we have not tried yet and all the products are available in many different scents. Newly added to the line is a balancing balancing shampoo and conditioner. You can see the complete product range on the official website (german). 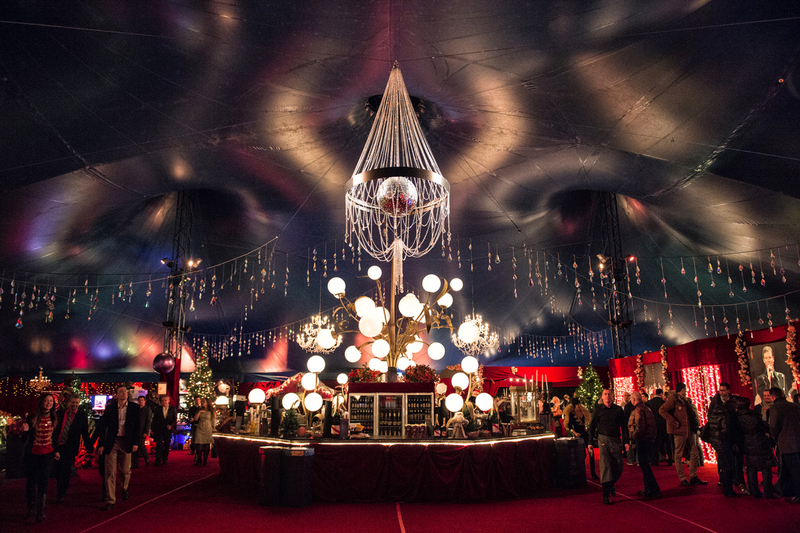 From the 20th November until the 4th January 2015, Salto Natale by Gregory and Rolf Knie is in Zurich-Kloten. We have seen the show and we were amazed by the incredible artists and the elaborate costumes. The title of the show (Mirlando) is exactly what you get – a magical wonderland of magnificent artists from all around the world, that present a breathtaking programm. We loved the performance of the Duo Dasha & Vadym, it was very emotional and for us they represented love beautifully in an artistic way. The performance by Dobrovitskiy was incredible and made us forget to breathe more than once. The Vertical Dance performance was very sensuous and a beautiful mergence of the feminine and the strong and powerful sides of a woman. The live band and the fantastic singer completed the show and created a wonderful atmosphere, for us it was a unique experience. 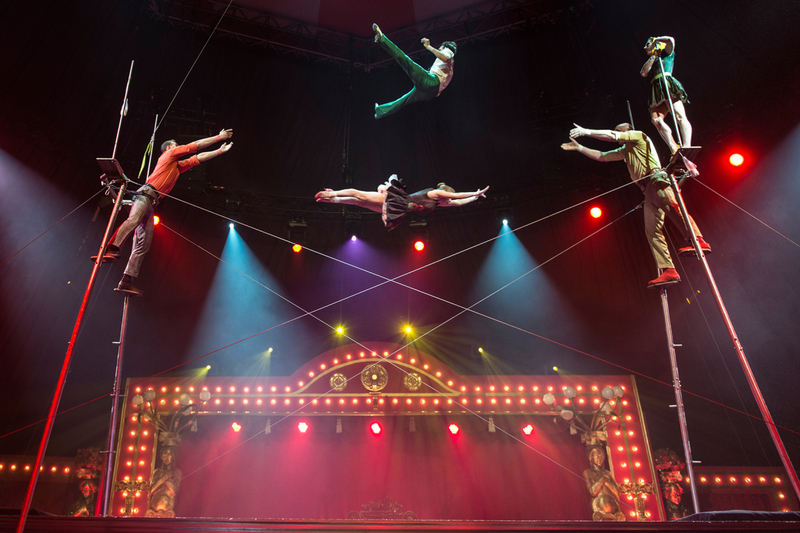 What we think is great, is that the circus tent doesn't have masts that block the view of the stage, so wherever your seat is, you have a perfect view, something we have never seen in a circus tent before. visit the official Salto Natale website. We went to see the premiere of this years Christmas Tattoo in Basel. It was a fantastic show, full of magnificent acts and unique a spectacle of all different kinds of music, dance and culture. What we liked very much was the stage design, it was very christmassy and created a mysterious and enchanting atmosphere. 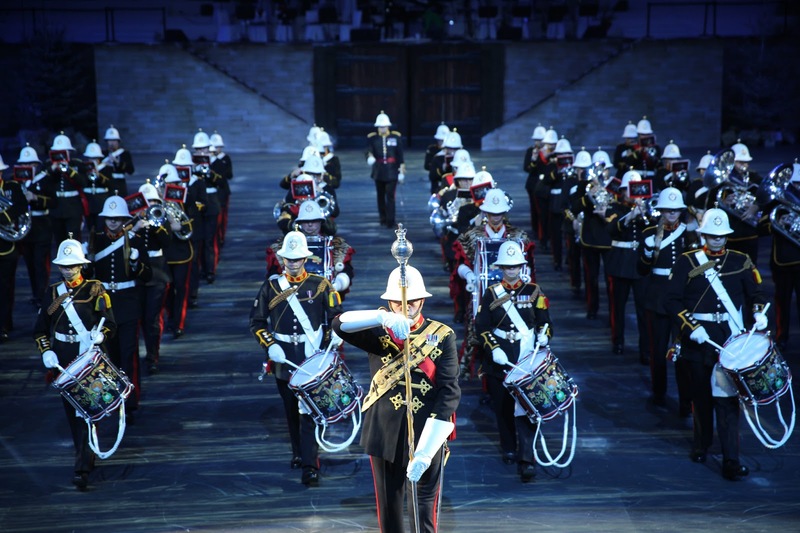 The Christmas Tattoo plays in Basel from the 10th - 13th December 2014 and it is definitely worth a visit. For more information and to get your tickets, visit the official website. We always like to go to the Johann Wanner Christmas house in Basel, and look at all the magnificent and artful christmas decoration and christmas baubles. Johann Wanner showed us his latest collection (yes, there are christmas bauble collections!) of christmas decoration and ribbons. 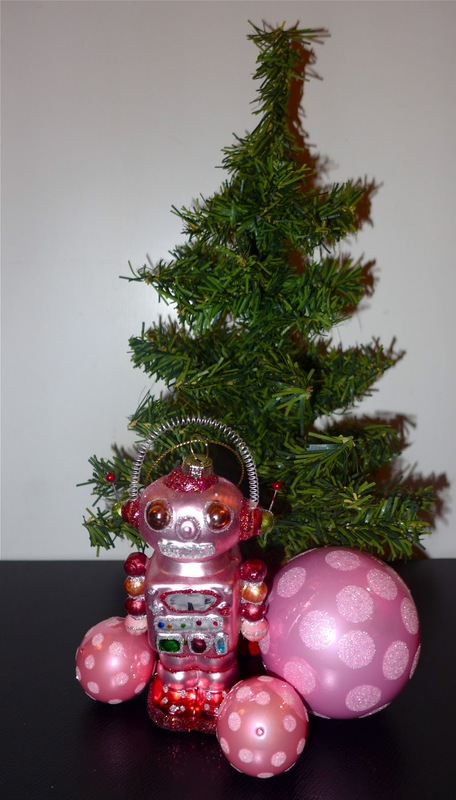 We have never seen christmas baubles in the shape of little robots and we think they are fantastic, they remind us a bit of the 60ies toy robots. 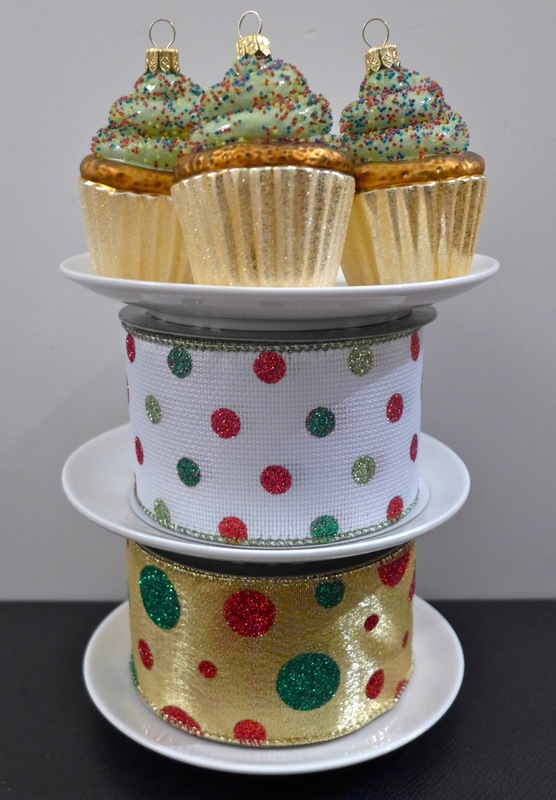 Also the ribbons with the dots are very beautiful, they are available in many different colours and what is special about them is that they are so wide. The little cupcake baubles look very real and they are decorative during the whole year. We are again and again amazed by the diversity of christmas baubles, there is something for every taste and depending on what theme you choose, you can even leave your christmas bauble hanging during the year. The Johann Wanner Christmas House is always worth a visit, not only for Christmas-Lovers, but for everyone who likes special and unique little pieces of art. 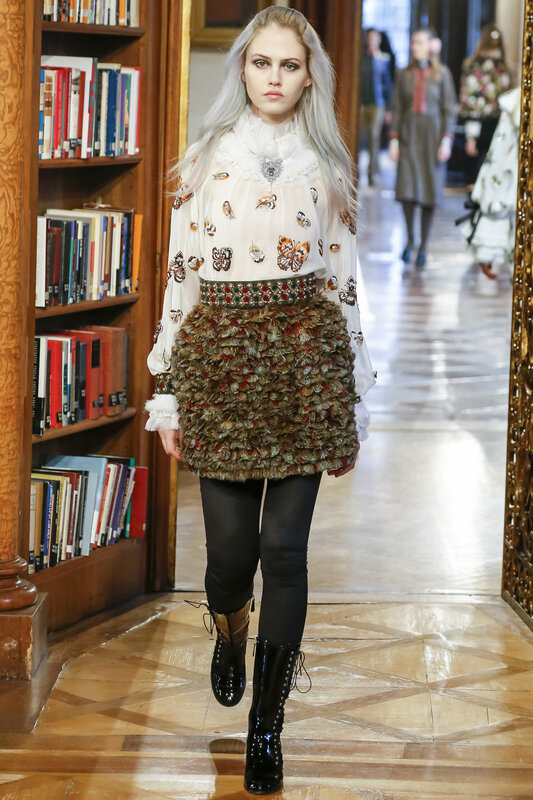 Today the Chanel Métiers d'Art 2014/15 Fashion Show was presented in Salzburg (Austria) at the Schloss Leopoldskron. 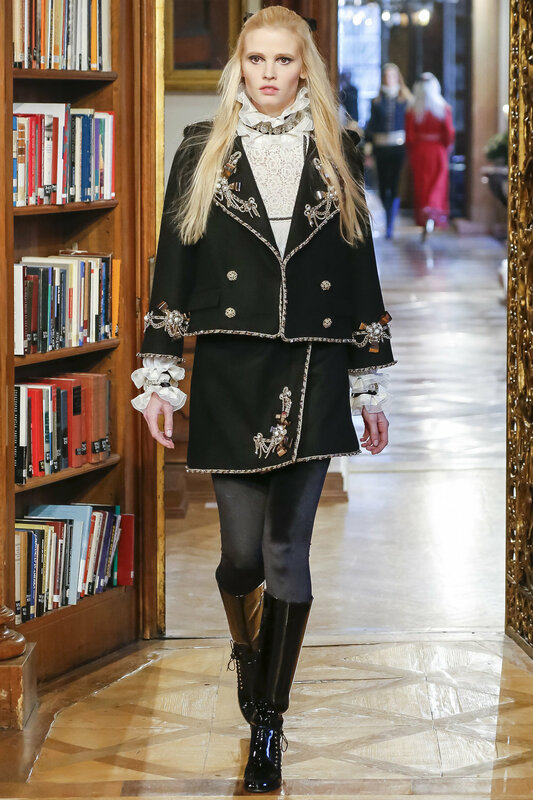 As always for his Métiers d'Art Shows, Karl Lagerfeld chose a location that was somehow connected to Coco Chanel's life. 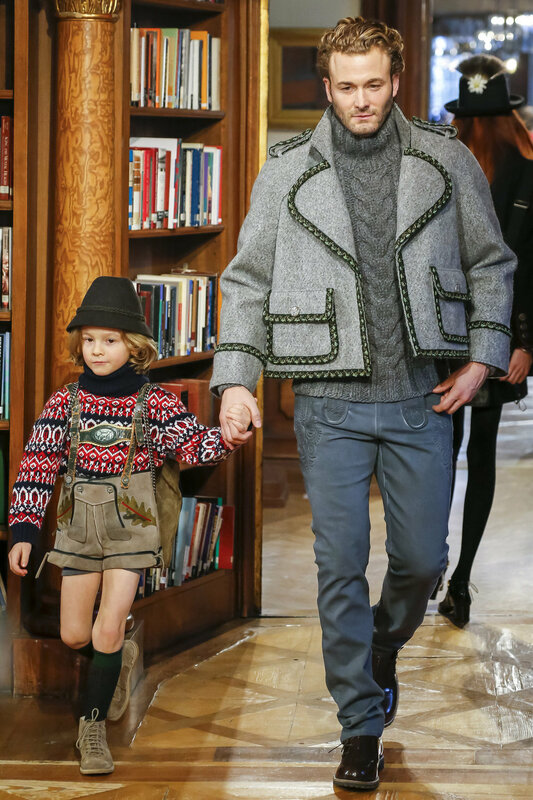 As you can see in the short film Reincarnation by Karl Lagerfeld that came out yesterday (1st December, with Géraldine Chaplin, Cara Delevingne and Pharrell Williams), she was inspired by the uniform of a liftboy in Austria to create one of her famous jackets. 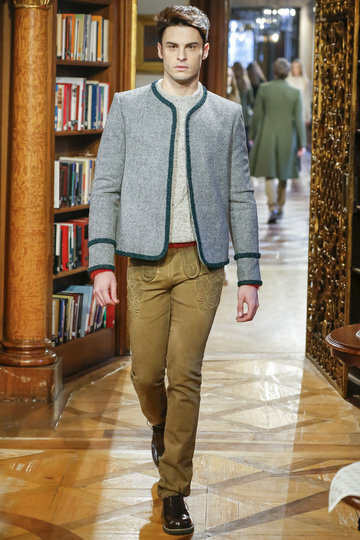 The collection was undoubtedly inspired by traditional costumes you often see in Austria and Germany, some elements even reminded us of traditional Swiss clothing. 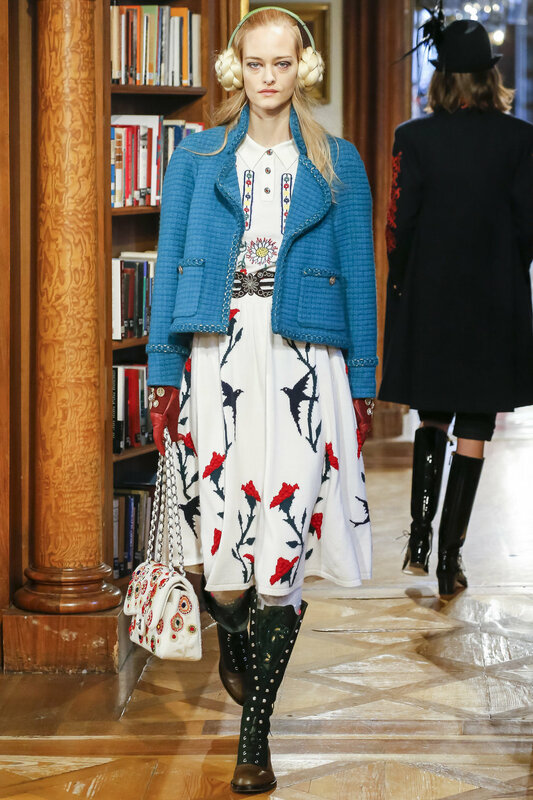 The countrified patterns and materials on the one hand and the emperially inspired pieces on the other, go along with the typical Chanel elements and cuts and merge into another one of Karl Lagerfelds artistic highlights. A recurrent element was also the Sisi-Star, that you can find as buttons, embellishment and even in the hair of the models. 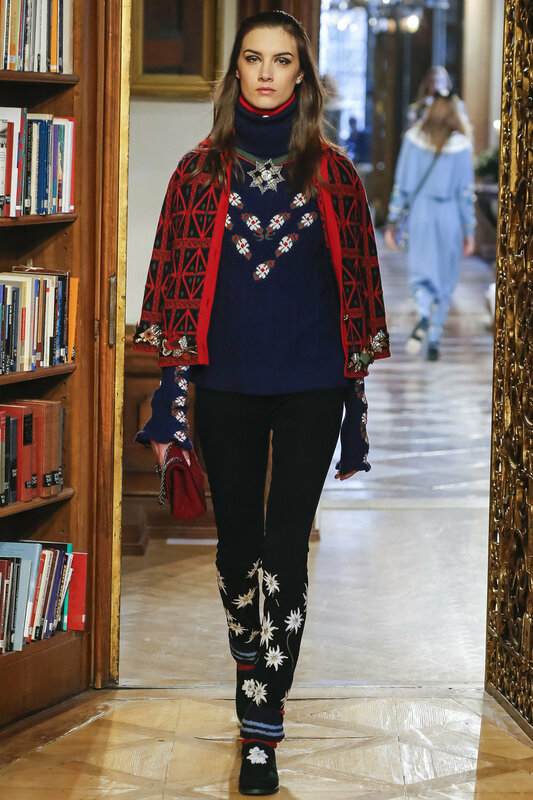 The Chanel Métiers d'Art Fashion Show is always one of the shows we especially look forward to, as we love the choice of locations and how Karl Lagerfeld always integrates influences from the culture of the country where the show takes place in his collection.